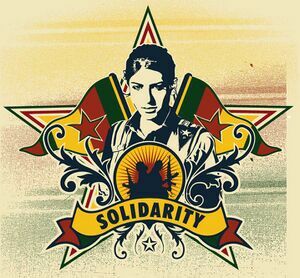 Rojava Solidarity-NYC is a solidarity committee that seeks to provide information on Democratic Confederalism and the Rojava Revolution, as well as humanitarian aid to the people of Rojava. In this way, ordinary people in the US can connect with the revolution in Rojava, joining with the amazing men and women in Northern Syria fighting for a new democratic, pluralistic, feminist and ecological future for not only the region but the world. RS-NYC has undertaken a number of initiatives including: fundraising for the delivery of life saving trauma kits, holding screenings, talks and demonstrations, publishing one of the first English language books on the Rojava Revolution (A Small Key Can Open a Large Door, 2015), and producing articles and interviews on the Rojava Revolution as anarchist theory in practice. NYC Anarchist Black Cross (NYC ABC) is a collective focused on supporting US-held political prisoners and prisoners of war and opposing state repression against revolutionary social justice movements. 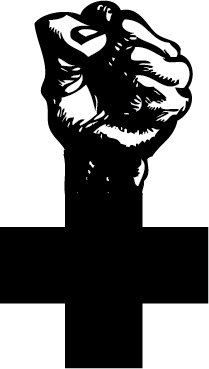 We are a Support Group of the Anarchist Black Cross Federation. For over ten years, NYC ABC has been hosting every-other-week letter-writing dinners for PPs and POWs, most recently and currently at The Base. For more information about NYC ABC, our events and other resources, visit nycabc.wordpress.com or find us everywhere else at @nycabc. Jane Addams Circle is an anarchist mental health collective that has been existing for four years. It focuses on re-imagining mental health as a revolutionary project. It has given presentations on the Politics of Psychotherapy; provided resources to those seeking mental health guidance; done mental health crisis trainings for other radical groups and facilitated conflict resolution groups. Jane Addams Circle believes that mental health is an important (but often neglected) part of the anarchist political strategy. MAST is an open-source and evolving set of cognitive techniques aimed at promoting better emotional health for individuals in a non-hierarchical or medical model. MAST is not traditional psychotherapy nor is it group therapy. MAST uses the principle of mutual aid and a growing open source collection of techniques to help overcome emotional difficulties in their lives. MAST is not a substitute, nor does it seek to undermine, traditional psychotherapy and psychiatry but to provide a rational and effective self-therapy based on our radical principles. MAST was started by professional mental health professionals but seeks to create an effective and supportive practice to improve one’s mental wellness together with other people sharing their desire for a radical change in society. The IWW is a grassroots, worker-run, international union for all workers in all workplaces, dedicated to organizing both on and off the job, in our industries and our communities. Founded in 1905, we stand by the principles written in our Preamble, that the working class and the employing class have nothing in common, and that the wage system must be abolished. By organizing industrially, rather than by trade, we are forming the structure of the new society within the shell of the old. 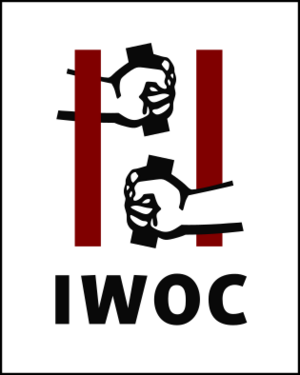 Incarcerated Workers Organizing Committee is a committee of the IWW, dedicated to the abolition of prisons and all forms of control over the people by the state. 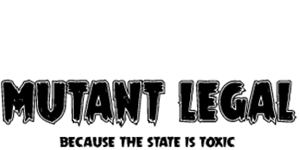 We believe all prisoners are political prisoners, incarcerated due to capitalism and a maintenance of the oppression that the state requires for control and exploitation. We are made up of members inside prison, their families members, the formerly incarcerated, and those living a false freedom in the open air prison that is the rest of the US. We meet every other Friday, and have regular letter writing events, prison visits, court support appearances, and more. Lower Manhattan Food Not Bombs is an organization that calls attention to the misplaced priorities of the current system by providing healthful and delicious vegan meals to the public for free. One part community service and one part political activism, our very presence stands both as proof of the current system's failures in providing adequate food for the people and as a way to mitigate those same failures. We meet 1 p.m. every Sunday at the Catholic Worker to cook, and serve at Tompkins Square Park from about 4:30 to 6 p.m. We're always looking for more help. New York City, a center of anarchist life, culture, struggle, and ideas for 150 years, host every year the annual NYC Anarchist Book Fair, an exposition of books, zines, pamphlets, art, film/video, and other cultural and very political productions of the anarchist scene worldwide The Book Fair also always includes two days of panels, presentations, workshops, and skillshares on to provide further opportunities to learn more and share your own experience and creativity. The goal of the book fair is to enable people to connect with one another as well as to provide broader access to the rich and varied field of anarchist ideas and practices. Now is the perfect time to be exploring those ideas and practices and bringing them into play in our communities and the world. 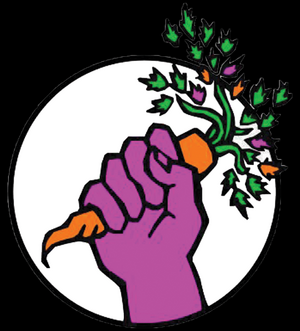 Radical Gardeners NYC is a network of novice and experienced gardeners who connect to share gardening tips and resources from an autonomous, anti-capitalist perspective. We hold sessions out of the Base where we organize collective, often subversive, public space gardening projects, host presentations and maintain an open seed saving library. This season, radical gardeners will be liberating plants from displaced gardener's homes, grafting fruit bearing branches to ornamental trees, and expanding to grow free food in nearby lots. Women, Trans, GNC, NB Class - Every other Monday, sharing crucial self-defense skills with folks of marginalized gender identities. Fight Training - With a different theme every Thursday, this class teaches a variety of MMA, grappling, self-defense, and weapon-defense techniques, as well as special programming and workshops. Martial Universe - Every Sunday, focusing on a variety of styles, skill sharing, and general open practice Protect ya neck with Fight Training! From an intersectional lens, the Antifa Discussion Series is a regularly-meeting group that focuses on discussing the purpose, history, theory, and application of Anti-Facist action. Each meeting will center around a theme, ranging from Antifa and Feminism, to Antifa and The Civil Rights Movement, to Antifa and Queer/Trans Activism, and much more! We are a non-cumulative "101" course, meaning that you do not have to know much about the topic to attend, and that you do not need to attend all the meetings to be a part of the group. We try to promote a bottom-up approach to understanding (meaning that if you feel like you know a lot about Antifa, but want to be a part of this group, we ask that you make space for those who are trying to come into an understanding of the topic. Can I be tracked? How can I be hacked? Who sees what I do online? If you are interested in a better understanding of any of these questions, or if you are a seasoned cryptographer who just wants to kick it with some cybersecurity-minded folks, Crypto Squad NYC is a group devoted to creating workshops and socials, as well as sharing information with interested folks and groups! Join us at one of our events, and learn how you can be secure in your digital dealings.